As the capital of Poland, Warsaw has a lot to offer visitors in the form of history, culture, and cuisine. If you're traveling alone, there are plenty of hostels where you can meet other guests and enjoy a social atmosphere. It's a unique and fun city to spend a few days. 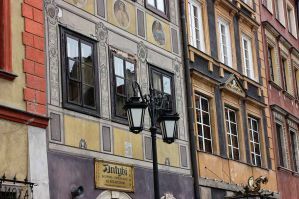 How much do hostels in Warsaw cost? Oki Doki Hostel is a favorite hostel in Warsaw, Poland. It's popular with all types of travelers, whether you're traveling alone, as a couple, or with a small group. The hostel has a very artistic vibe, with every room having its own style and design. The hostel is conveniently located near most of the city's top attractions. It's about fifteen minutes on foot to the old town and is just twelve minutes to the main train station. It's easy to find good restaurants, cafes, and bars nearby as well. The hostel has a social environment and the staff regularly organize events for guests. You can enjoy any number of activities including pub crawls, tours, cooking lessons, and more. There is plenty of common space where you can relax and meet other guests. There's also an on site bar with cheap drinks and daily happy hours. Both private rooms and dorms are available. If you want a private room, you can choose from twins, doubles, and triples. Dorms range in size from three beds to eight beds, and female only and coed rooms are both available. Warsaw Downtown Hostel is owned and run by a group of young travelers who know what makes a good place to stay for backpackers. The hostel has a great environment with modern and comfortable furnishings. They serve a delicious breakfast every morning and offers guests a large common area where you can relax. They also organize daily events for guests including cooking classes, game nights, karaoke, movie nights, and meal nights. If you're on a tight budget, you can use the shared kitchen to prepare your own meals. The staff is wonderful and will go out of their way to make sure you enjoy Warsaw as much as they do. They provide free city maps and all kinds of travel information. They can also recommend all of the best restaurants and bars around town. If you're looking for a social setting with plenty of young travellers, then this is a great option. You're sure to make a few friends during your stay at Warsaw Downtown Hostel. Patchwork Design Hostel is owned by locals who know Warsaw well. It's located between two of the city's most well known streets, Warsaw Nowy Swiat St and Chmielna St. It's also in a lively area near plenty of different restaurants, bars, and pubs. The area is walkable and you can reach many of the city's best attractions on foot. It's also possible to walk to two different metro lines as well as buses and trams. The hostel has a social atmosphere and there is plenty of common space where you can relax and hang out with other guests. If you need to get some work done, or just want to read in a peaceful setting, there's also a "silent zone" that has access to free computers. 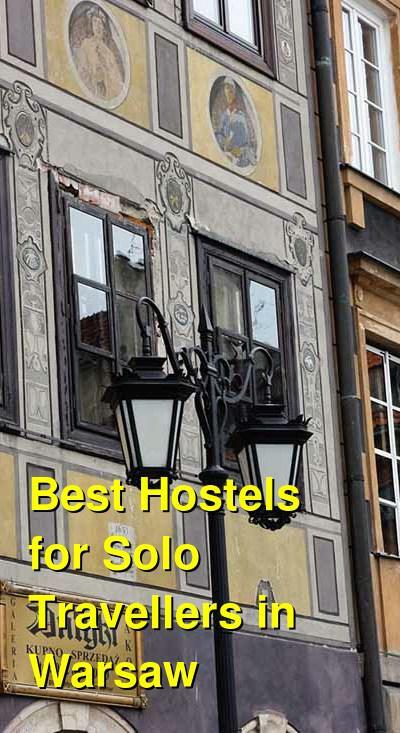 If you're traveling alone and want a hostel with a social atmosphere where it's easy to meet other guests, then this is another good option in Warsaw. There always seems to be something going on and it won't be long before you make some new friends. Both private rooms and dorms are available. Twins, doubles, and triples are available as private rooms and dorms sleep between four and twelve (and everything in between). Hostel Helvetia is a nice option for solo travelers looking for affordability in a good setting. It's located on Sewerynow Street, which is a quiet area that is still close to some of the city's best nightlife, restaurants, and entertainment venues. The staff is friendly and helpful, and they know the area well. The hostel has a variety of amenities for guests including a large breakfast every morning, free wi-fi, a shared kitchen and a nice common area. Guests can choose between private rooms and dorms. Private rooms include twins, doubles, triples, and quads. Dorms can be as small as three beds or as large as eight beds. Female only and mixed dorms are both available.